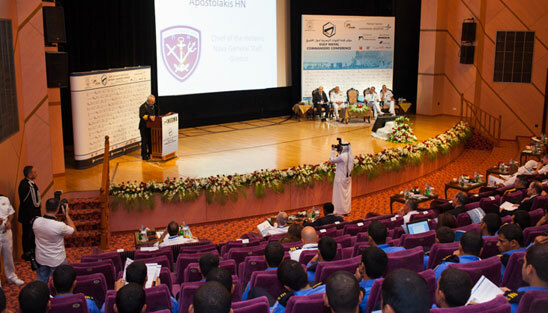 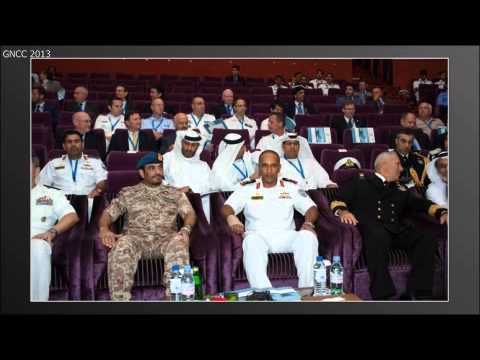 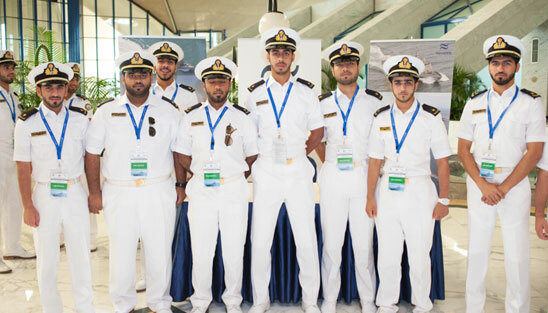 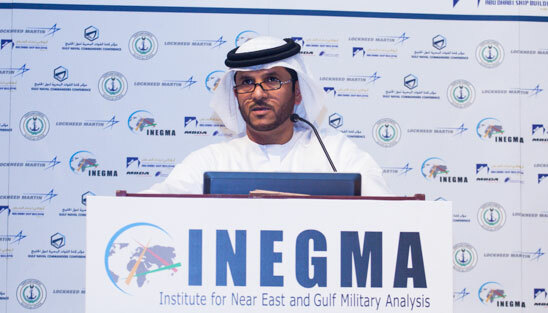 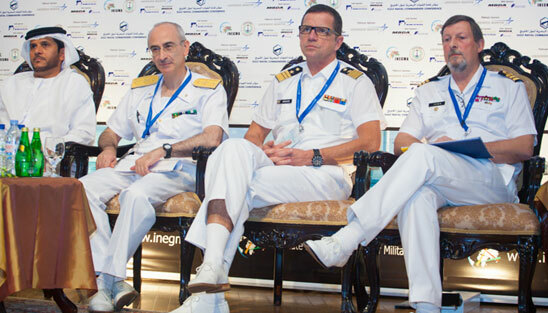 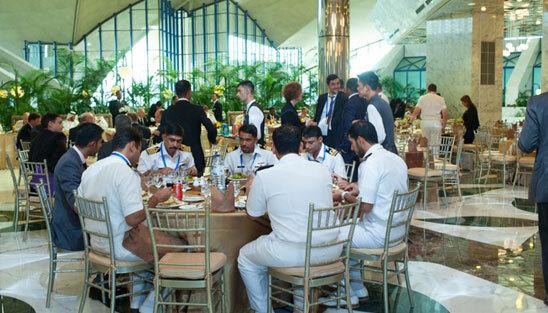 Under the esteemed patronage of the UAE Naval Forces, INEGMA organized the most unique and distinctive navy conference of 2013. 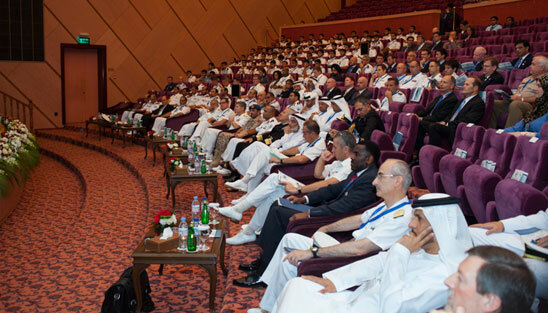 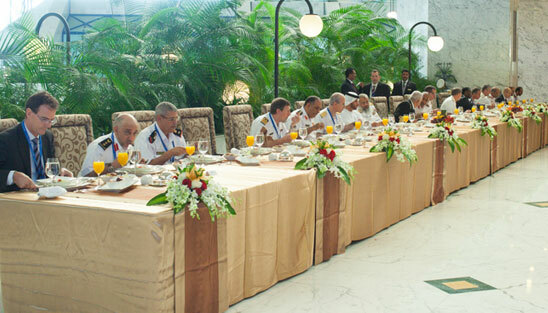 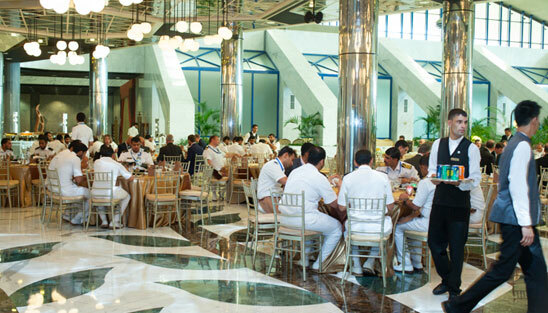 The Gulf Naval Commanders Conference (GNCC); took place on November 6, 2013 at the Armed Forces Officers Club (AFOC) in Abu Dhabi, United Arab Emirates. 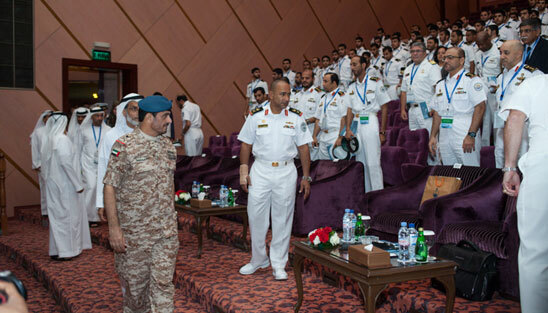 GNCC brought together Naval Commanders from the region and further a field to take part in a one-day dialogue between partners operating in the Gulf region. 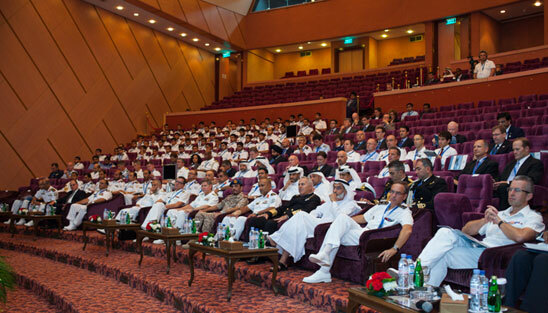 The combination of senior commanding officers, industry experts and subject matter specialists presented a unique and unprecedented forum for all parties involved to exchange expertise and acquire valuable maritime domain awareness information. 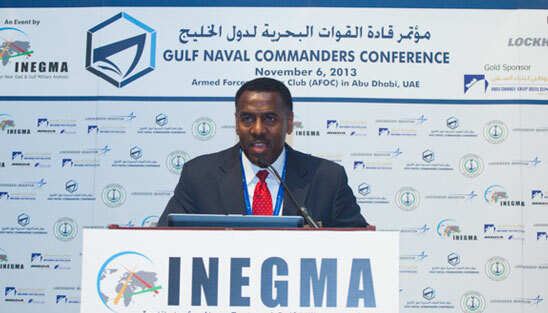 GNCC explored various strategies and tactics employed in complex naval environments, the development of capabilities and integration of modern technologies, as well as force readiness against asymmetric threats. 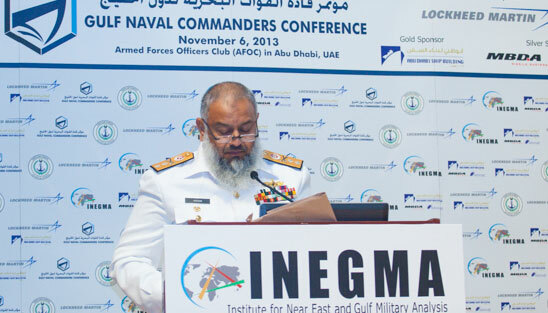 INEGMA aims to increase discourse between friendly nations through efforts such as GNCC and is happy celebrate our partnership with the UAE Naval Forces in constructing a conference that greatly benefits the maritime community. 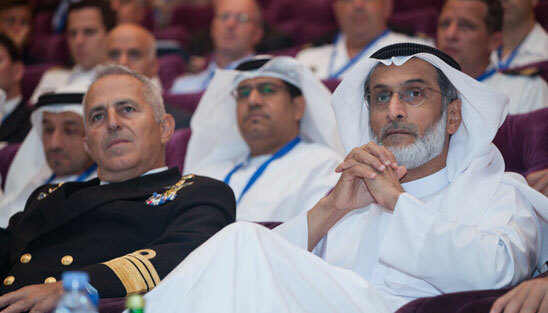 The connections fostered through GNCC between operating forces and industry will help transfer lessons learned and successful tactics in order to modify and manufacture effective modern naval technology. 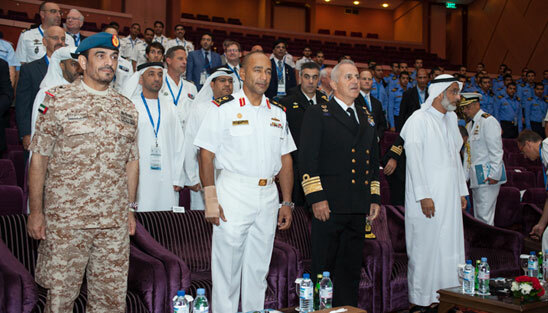 Abu Dhabi- Under the esteemed patronage of the UAE Naval Forces, the Institute for Near East and Gulf Military Analysis (INEGMA) announces the opening of the Gulf Naval Commanders Conference- GNCC 2013 for the second successive time on November 6, 2013 at the Armed Forces Officers Club (AFOC) in Abu Dhabi, United Arab Emirates. 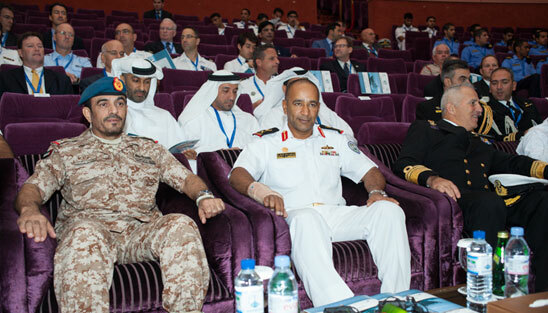 The conference was attended by Major General Rashad Mohamed Salem Al Saadi, Commandant of National Defense College at United Arab Emirates and leading naval officers, defense attaches and embassy personnel. 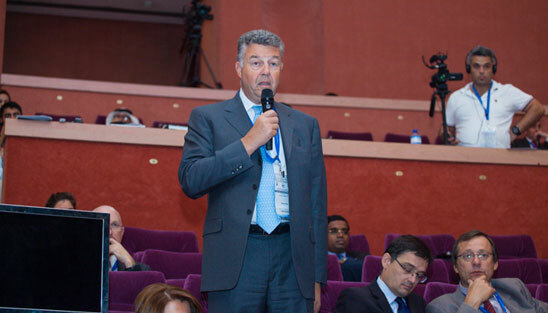 Mr. Riad Kahwaji, CEO of INEGMA, welcomed the audience in his opening remarks. 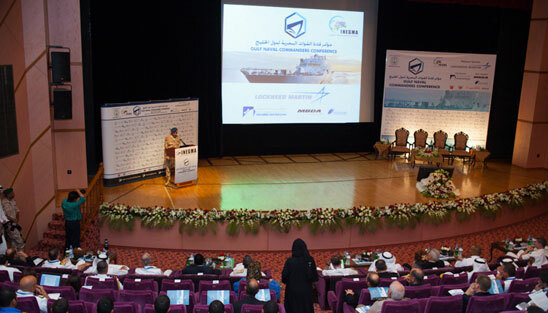 He addressed the current situation of maritime domain awareness with a special attention to underwater threats and the necessary remedies that are currently being addressed by many of the conference speakers. 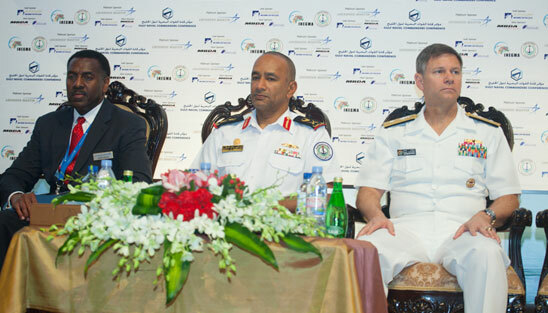 He thanked the sponsors and media partners for their support and wished them a healthy and fruitful sharing of information and opinions on the critical issues. 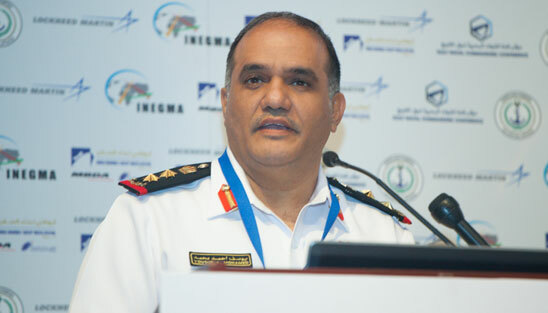 Major General Rashad Mohamed Salem Al Saadi, Commandant of the National Defense College in the United Arab Emirates, presented the conference keynote speech. 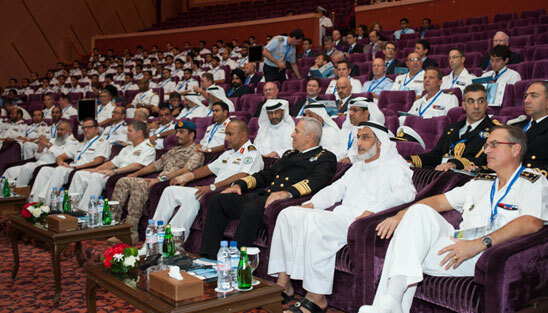 He emphasized that no modern nation can claim to have a good military without an efficient naval force. 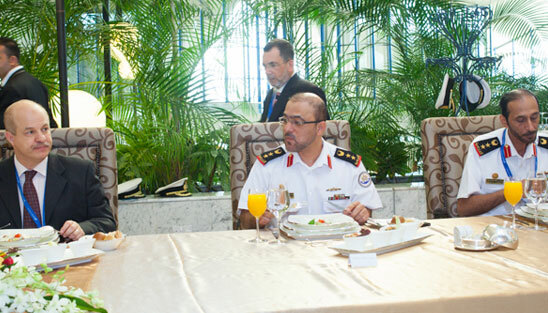 This fact is important to the UAE leadership that aspires to ensure peace and stability in the region and to work on resolving issues via political and diplomatic means. 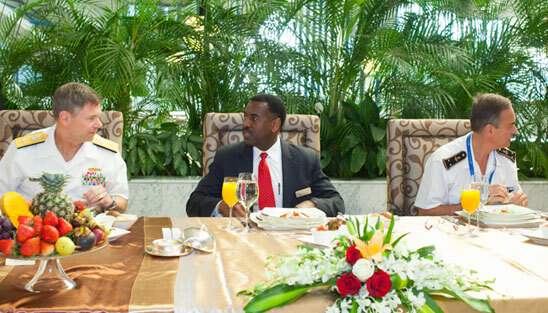 He added that the UAE believes in productive partnerships to enhance stability and fulfill progress and prosperity. 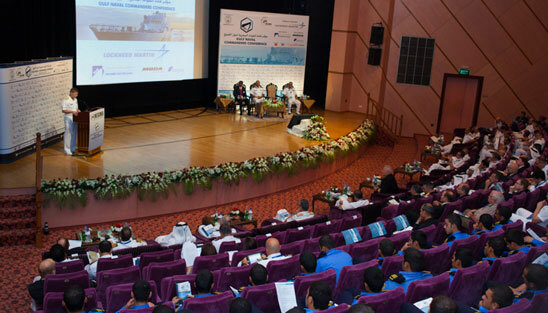 The first session was chaired by Anthony L. Winns, Lockheed Martin President for Middle East and Africa, and featured three speakers. 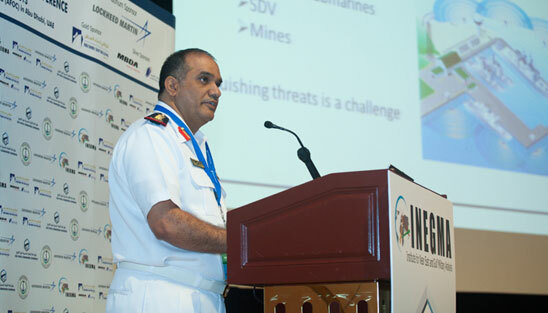 Rear Admiral Ibrahim Al Musharrakh, Commander of the UAE Naval Forces, delivered a presentation on “Challenges for Anti-Access/Area Denial (A2/AD) Threats in Confined Naval Spaces.” He argued that navies should collaborate on solutions as the proliferation of asymmetrical threats such as piracy present threats to regional and global economic wellbeing. 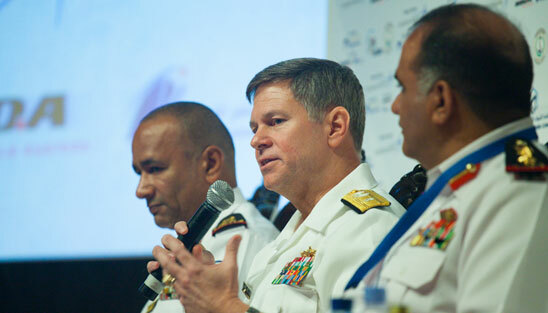 He continued by emphasizing that navies should be allowed to operate without restriction in the face of major financial and logistical challenges facing all navies. 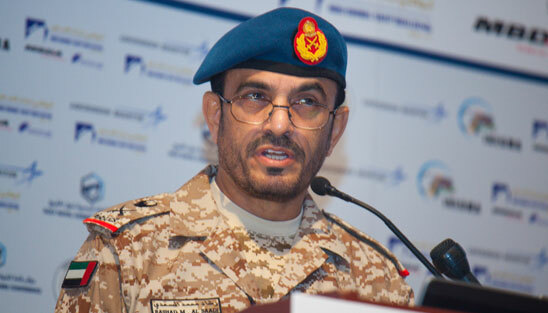 He was followed by Colonel Yousif Al Mannai, Deputy Commander of the Bahrain Naval Operation Center who presented a briefing on “Harnessing Commercial off the Shelf (COTS) and Containerized/‘Bolt-On’ Solutions for Subsurface Threats.” He emphasized that port defense systems concentrate on the requirement to provide a compact, integrated and turnkey solution covering all the aspects of protection of ports and harbors, such as Manned and Unmanned, Surface and Subsurface vehicles, as well as fixed sensors. 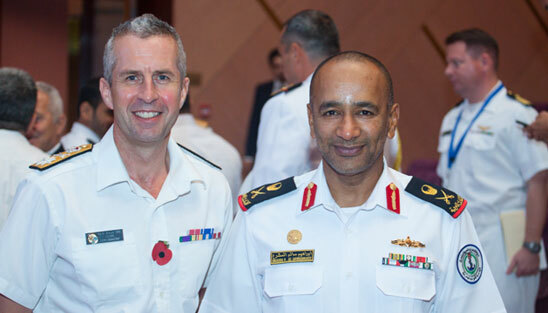 The requirement includes a system that conducts detection, tracking and pursuit including post engagement monitoring for battle damage assessment. 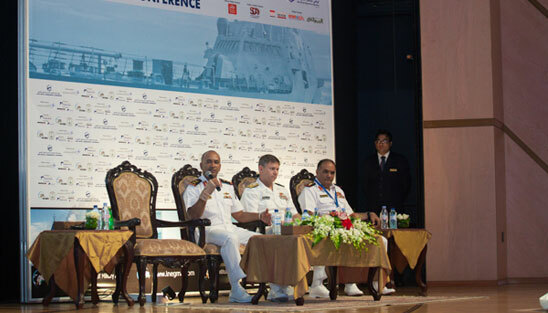 The first session was concluded by Rear Admiral James T. Loeblien, Deputy Commander at NAVCENT–USA, who addressed “Strategic Imperatives in Building a Military Response Capability for Asymmetric Threats at Sea.” He asserted that the 5th fleet is committed to this region and to working with its GCC partners to help ensure that sea lanes of communication remain open. 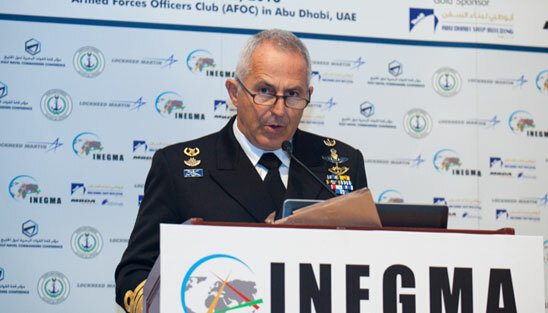 However, Loeblien stated that the current and expected future threats to commerce and resources are “assymetric” in nature, including piracy, illicit trafficking, unattributed attacks against maritime energy infrastructure, potential use of mines in the Arabian Gulf and small boat attacks against civilian tankers. 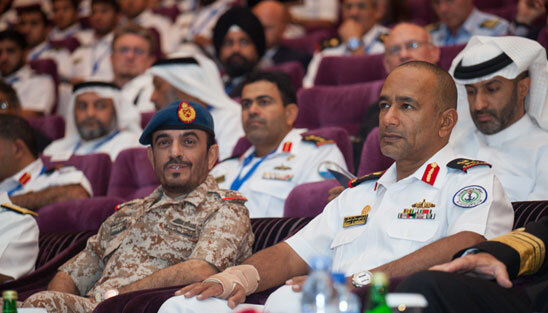 He concluded by stating that there is a shared responsibility in three pillars: capacity, capability and interoperability. 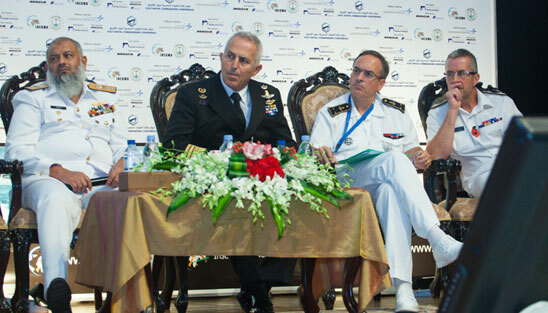 Rear Admiral Antoine Beaussant, Commander of French Forces in the Indian Ocean Maritime Zone gave a presentation entitled “From Gulf to Asia: The Center of Shifting Interest and Its Consequences in the Gulf and For the Maritime World.” He argued that the Gulf has become a strategic crossroad, not only for natural resources and other commodities but also the movement of people across the world- whoever commands the sea, commands the trade. 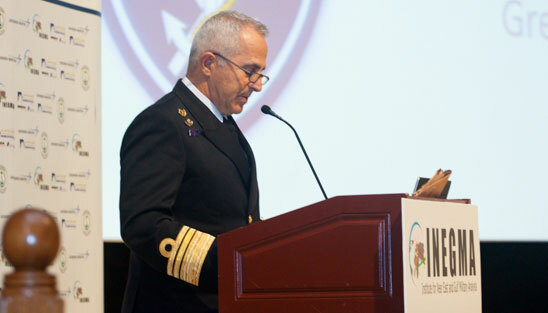 He also touched on the risk posed by pollution in our waterways and the need to combat this threat. 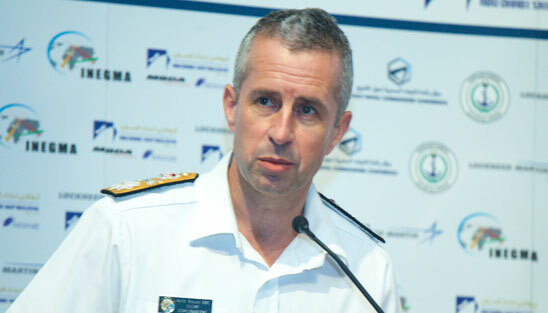 The second session was concluded by Commodore Keith Blount, the UK Maritime Component Commander and Deputy Commander Combined Maritime Forces, who discussed “The Arabian Gulf Operational Environment - Asset Integration and Interoperability Challenges for Navies.” He stated that in order for the full capabilities of the 29 nations in the Combined Maritime Forces, we must work together and leverage each nation’s particular strengths. 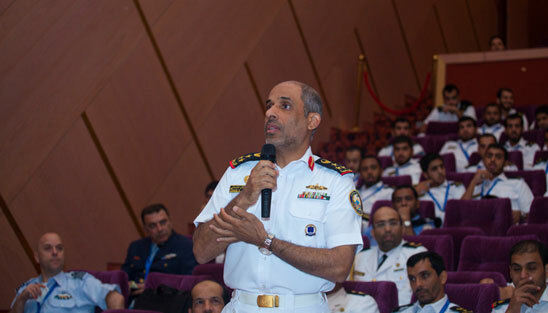 He addressed opportunities to have a GCC commander of the CMF and also the possibility of opening a GCC operations center for maritime information sharing and coordination. 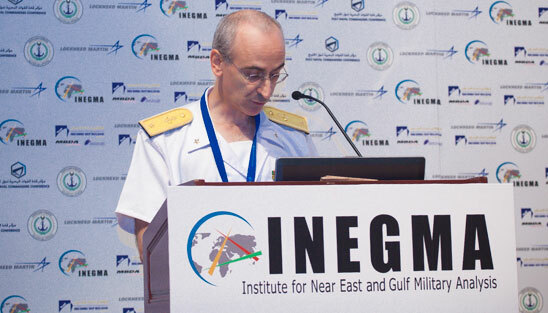 The third session of this day was moderated by Dr. Theodore Karasik, Director of Research and Consultancy at INEGMA, and featured four speakers. 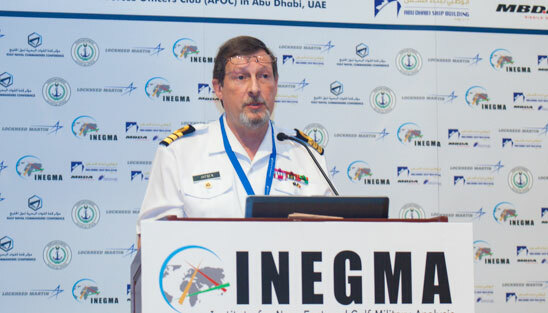 Starting with the Vice Admiral Andreas Krause, Deputy Commander of German Naval Forces, who delivered a presentation on “Maritime Domain and Surveillance”, he emphasized that MCM requires greater capacity in any areas of operation because of space limitations. 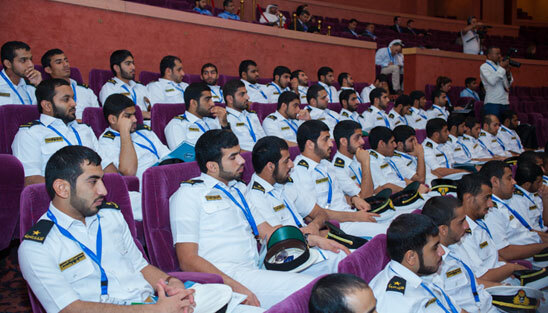 There is a need to promote common training and education across the MCM community to guarantee smooth rules of engagement and operations including the introduction of Subject Matter Experts (SME) to enhance planning processes. 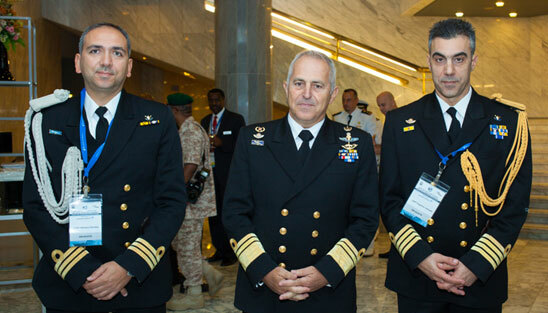 Most important is the need to adapt and recreate multi-national doctrine, tactics and procedures including information exchange and persistent underwater surveys. 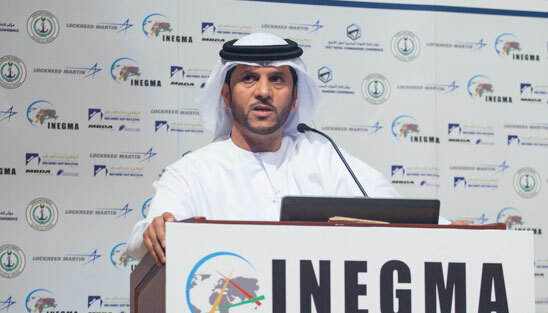 Dr. Khaled Almazroui, CEO of Abu Dhabi Ship Building (ADSB), lectured on “UAE Maritime Industries and the Current and Future Capabilities.” His presentation focused on the capabilities of shipyards in the UAE and around the region as well as current operations and future challenges. 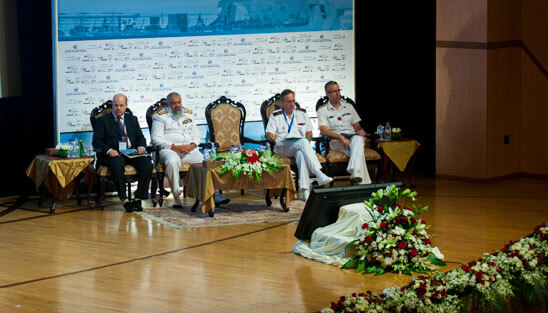 He stated that naval operations require industrial solutions, from marine yards to supply chain support- especially when facing asymmetric threats. 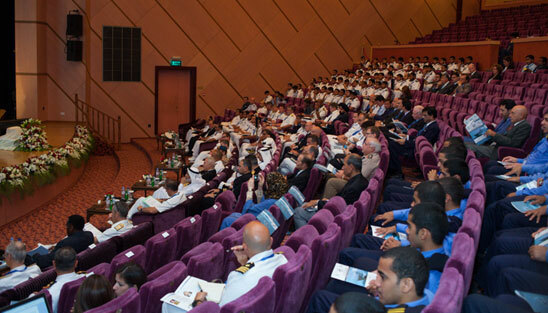 He also discussed several new capabilities being developed by ADSB including complex warships and patrol boats, fast interceptors and diverse MRO services. 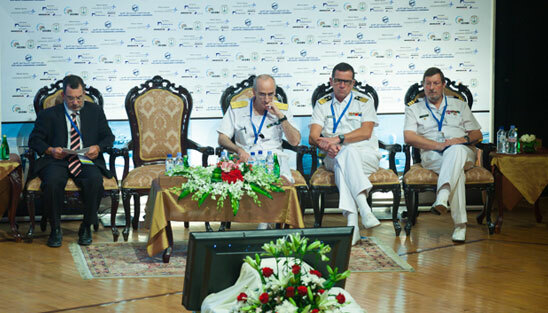 Rear Admiral Livio Ceccobelli, Chief of the Department of Logistical Engineering at the Italian Naval Forces, presented “Achieving Streamlined Maintenance, Repair and Overhaul (MRO) Support Services for Force Readiness and Resilience.” He addressed the structure of the Italian Navy’s new Logistic Command (COMLOG) aimed to support Naval Forces with heightened efficiency and effectiveness. 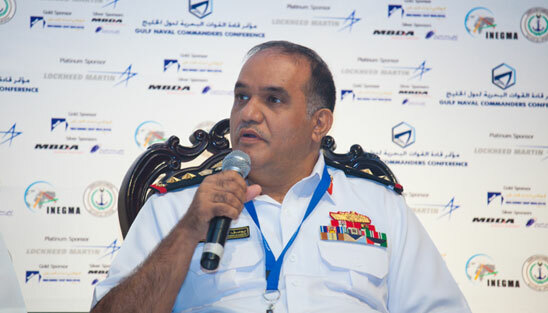 He described how the new COMLOG combines previously disparate segments of the logistics chain and how this concentration is expected to increase fleet readiness through higher cost effectiveness driving higher asset availability. 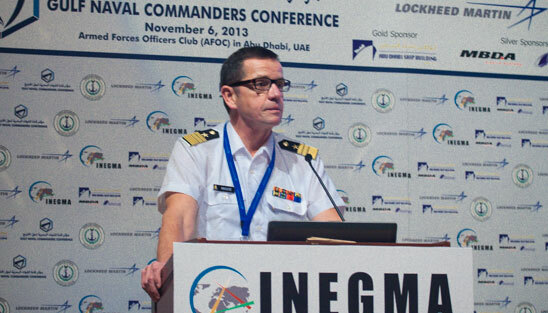 The last session of the conference was concluded by the presentation of Commander Yvo Janenen, Naval Component at the Belgian Armed Forces, on “Towards an Integrated Multinational Mine Counter Measure (MCM) Capability – Lessons Learned from Latest Missions and Exercises in the Arabian Gulf Flotilla.” He emphasized the lessons learned in recent MCM Exercises IMCMEX 12 and 13. 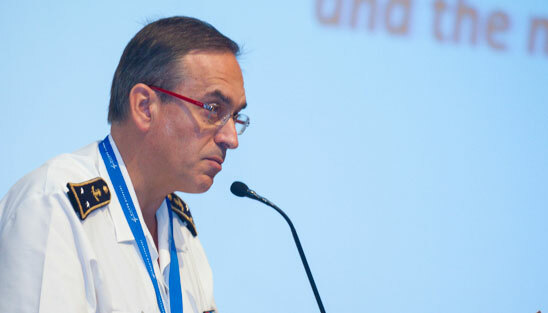 Due to political factors and budgetary constraints there has been a 50% decrease in MCM capabilities across NATO which has led to a drive towards future capabilities projects based on maturing unmanned concepts combined with increased complex and joint operations. 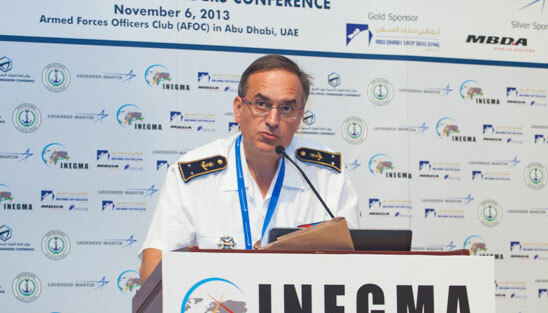 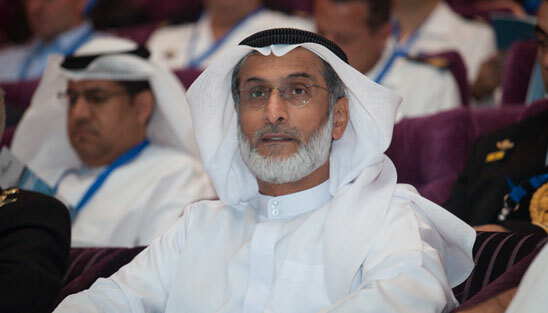 He stated that IMCMEX 2013 saw an over two-fold increase in participation from the previous year with around 6,500 personnel participating from 32 countries where challenges such as the difficult underwater environmental conditions around the Arabian peninsula as well as complex communication issues and the lack of unified methods were identified. 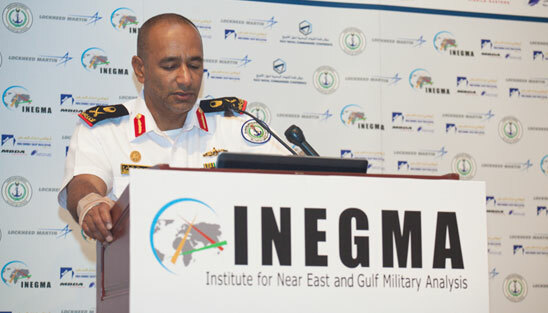 Through these lessons learned, Commander Janenen recommended common training and education in MCM, incorporation of SME personnel in CTF522 command staff as well as information sharing of environment and intelligence databases of the exercise area. 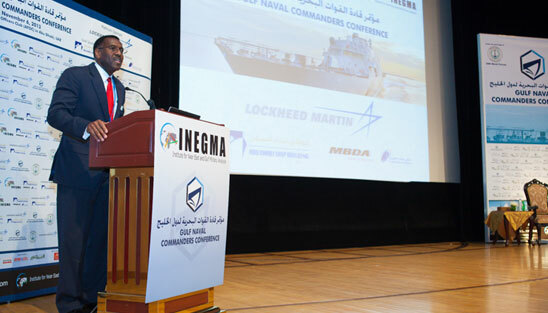 GNCC 2013 sponsors were: Platinum Sponsor: Lockheed Martin. 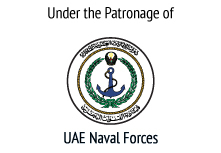 Gold Sponsor: Abu Dhabi Ship Building. 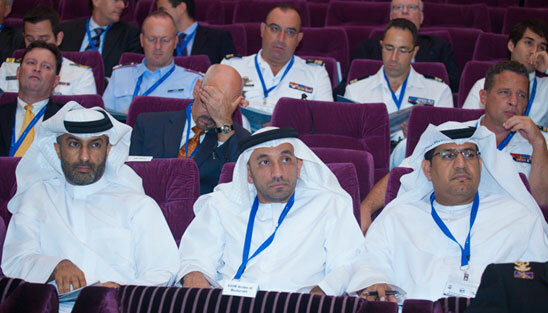 Silver Sponsors: MBDA Missile Systems and Abu Dhabi Systems Integration.